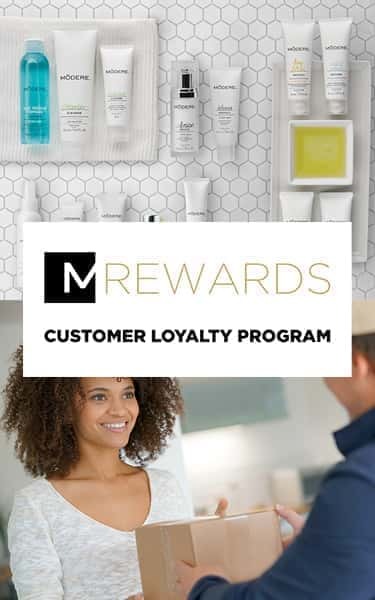 the benefits of Modere Rewards are endless. Use SmartShip to save 5%, and you’ll never worry about running out of your favorite product again. Better yet, add more items to SmartShip and save up to 15%! The more you SmartShip, the more you can save! with 5 or more different products. with 8 or more different products. When you select SmartShip and Save, your discount begins with your initial product order and continues* with your first monthly shipment on the recurring date you choose. Edit or cancel your SmartShip order at any time. *For as long as you remain enrolled in SmartShip. Love Modere? Share it with your friends! When they place their first order, they’ll get $10 off—and you’ll earn a $10 credit toward your next purchase. Combine it with SmartShip to save even more. Share the Love credits are limited to one credit per household. SmartShip Loyalty rewards can be stacked with your SmartShip & Save for even more savings! *Your SSLR functions like a rebate that is automatically applied to your next consecutive SmartShip order(s), and is calculated based on a percentage of your monthly SmartShip purchase amount, excluding any applied Live Clean Credit (LCC) or other credit redemptions, taxes and shipping. Have your cake and eat it too with $10 to spend on all things Modere when it’s your birthday!